In addition to the previously known effects of processed meat on other kinds of cancer, this adds further evidence that it may have a deleterious effect on breast cancer, particularly in post-menopausal women. 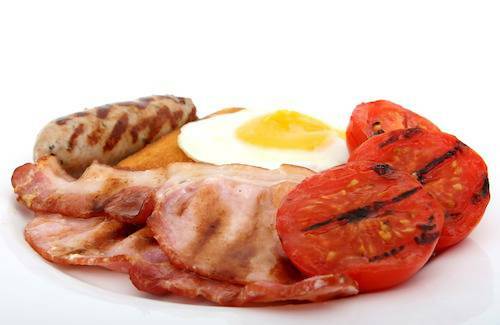 Processed meat including bacon and sausages can increase the risk of breast cancer in older women, a new study has found. Breast cancer is the UK's most common form of the disease - accounting for one in six cases. There are around 55,000 new cases of breast cancer every year - the disease rate has increased by one fifth since the 1950s. Public Health Experts at the University of Glasgow analyzed 26,000 middle-aged women for the study, which was published in the European Journal of Cancer. 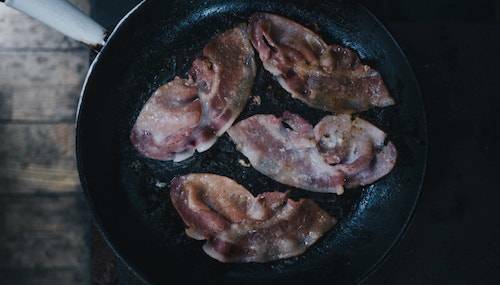 As a result of their findings they claim eating processed meat could be a factor in hundreds of avoidable cases of breast cancer a year. Researchers used information about the women from a database called Biobank. They removed information regarding other risk factors like weight, smoking, and drinking among others, then looked at the relationship between processed meat consumption and breast cancer. Naveed Sattar, Professor of Metabolic Medicine at Glasgow - and one of the study’s authors - said: "In addition to the previously known effects of processed meat on other kinds of cancer, this adds further evidence that it may have a deleterious effect on breast cancer, particularly in post-menopausal women. "If you take it at face value and say there’s an association, then it means that if people were to eat less processed meat they might well reduce their risk of breast cancer." Some have pointed out that the data has limitations - for example, quantifying processed meat consumption was based on a questionnaire - which can be an unreliable method of gathering information. But Prof. Sattar believes the results are still worth bearing in mind. He said: "My public health advice for women would be: if you’re particularly concerned about breast cancer, then it might be another incentive to improve your quality of diet by eating less processed meats." The study did not discover a link between red meat consumption and breast cancer, or processed meat consumption and breast cancer in younger women. The World Health Organisation [WHO] classifies processed meat as a carcinogen alongside cigarettes and asbestos.